The landscape of Goa has been changing dramatically over the past few years. There are several elements that have been added to the Goan picture. No, we are not talking about the concrete buildings that seem to just out from almost everywhere. Or the presence of global brands that are now present in the State. But rather of the emergence of several casual dining restaurants that seem to be opening at every corner. It is also a business that seems to attract people from all over the world. Is it a good business to be involved in and how big is the business in the State? Given the dynamics of the market which is so dependent on tourism it is important to target a segment of the population. To which he said they intended to set a standard that makes good quality food accessible to all and target people who are looking to try some interesting food. He says he would like cater to both the local and tourist population. Asked who his customers were, he said it was a good mix of local, expats as well as out of town visitor who like cuisine that is not the standard Goan fare. This trend will continue and in the next five years the state he believes the state will be more prevalent as a culinary destination. With regards trends emerging in the casual dining market she felt the idea was to give the guests a great time and the vibe was one of a must have! This, she felt was an amalgamation of great food, prompt and polite service along with inviting interiors and music that complements. A lot of restaurateurs are now experimenting with new foods, newer concepts and international dishes, unlike earlier when places were more about local foods or comfort meals like fish and chips or just butter chicken and naan. Another star chef who decided to throw in her hat by setting up the India award winning Italian gourmet restaurant, Diva, was Chef Ritu Dalmia. The 64 cover fine dining restaurant will offer a curated Italian menu and a variety of wines and is located at Andores Resort & Spa, Calangute. She said “I really don’t know what to expect from this market but I am sure there is a market for good food.” She refused to reveal how much had been invested in the restaurant but she said she was confident it would work out fine. There were he said several segments which comprised of the Russians, then the Europeans and the domestic segment which featured the corporate and holiday segment. When asked how big the market was in Goa, he was prepared to take a stab and it and said he would not be surprised if it was around Rs 100 crores ie the casual dining market. The segment he said was growing at around 3% to 5% annually and it was tough market given that rentals were high and the cost of manpower was high too. The cost of sea food was also expensive and in the rains, it was always challenging. That may sound very nice but the business is extremely tough to stay in given the challenges of licences, infrastructure and manpower. 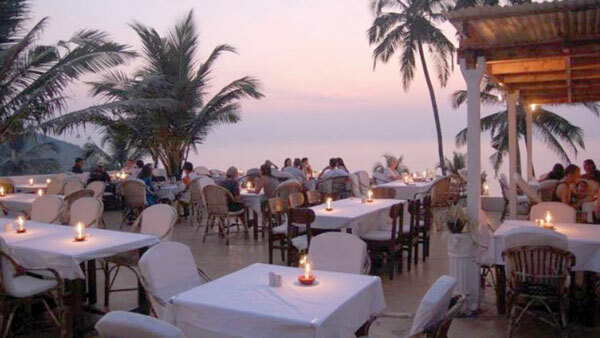 The reason Goa will continue to attract restaurateurs will simply be the growing attractiveness of the market. As more and more Indians travel and move up the value chain so to speak they will look to have even more interesting experiences and food and its appreciation will play a larger role.